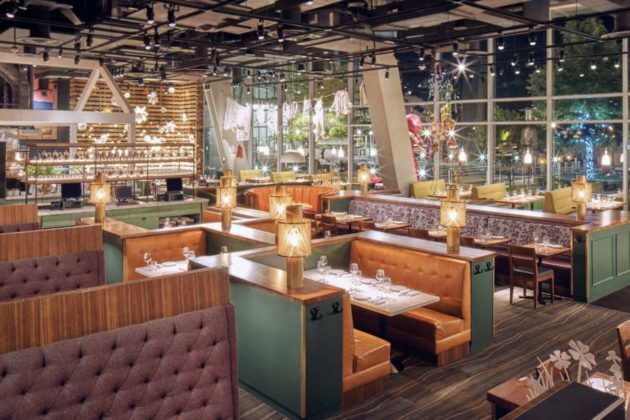 Artists behind the artwork of Founding Farmers in Reston Station will offer explanations of their work at an “Art Reveal” tonight from 6-8 p.m. 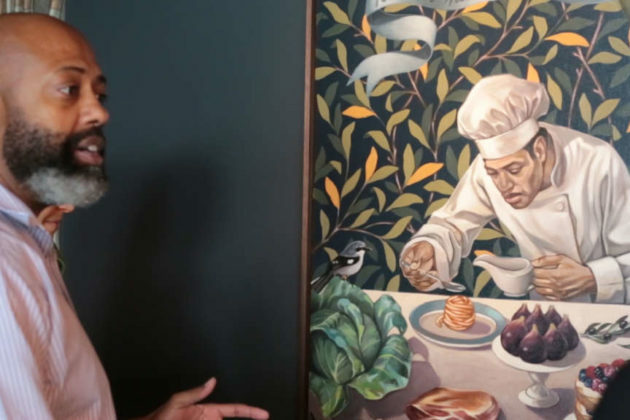 The interior of the restaurant includes work by local and regional artists, all centered around the theme of Thomas Jefferson and Monticello. Featured artwork includes a North Dakota Farmers Union Laundry line, which hangs from the restaurant’s ceiling. The piece was made from pieces of cloth from farm owners that were hardened into place with glue and paint. 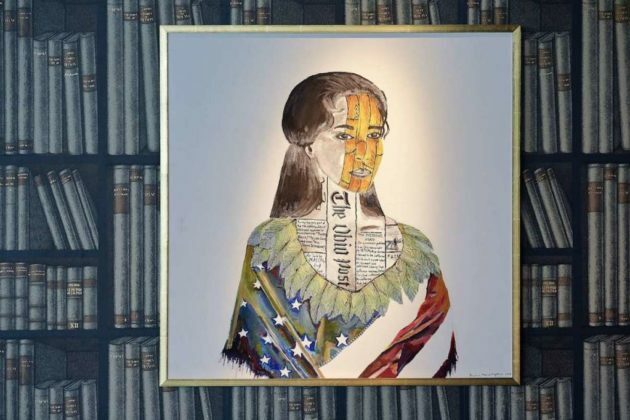 Other pieces include colorful farm animals dispersed on the wall of the restaurant and an image of Sally Hemings, an enslaved women who had a relationship with Jefferson. Co-owner Dan Simons and creative director Leah Frankl will be on-site to answer questions about the art in the restaurant. Tickets are available online.